BTCS (OTC PINK: BTCS), the first pure play U.S. public company focused on bitcoin and blockchain technologies, closed trading on January 3rd at $0.19 a share after consistently trading above $0.20 a share for the better part of the final two weeks of 2017 and on January 2nd. The decline in BTCS’s share price is potentially the beginning of a short-term bear run that could see the share price slip to the low-teens. This is attributable to dampened investor sentiment following prolonged months of waiting for a potential reverse merger with Australia’s Blockchain Global, a private company. In August 2017, BTCS announced a non-binding letter of intent to merge with Blockchain Global, an Australian technology company that is building a blockchain ecosystem to capitalise on the current surge in interest in blockchain, bitcoin’s underlying technology. It is involved in mining, consulting and incubation. The incubation division plays a key strategic role as it ensures it remains at the cutting edge of innovation in blockchain. Expectations were high that a substantive deal would be announced by the end of 2017, and the Wednesday (January 3rd) price correction partly reflects investors’ disappointment that this did not happen. Bitcoin’s rally was captured in mainstream media, deepening public acceptance of cryptocurrencies while pushing up share prices of a cross-section of stocks with interests in the sector. Stocks such as Longfin (NASDAQ: LFIN) surged more than 2000 per cent during the bitcoin rally, and its market cap increased from $220 million to $3.1 billion. Many other stocks that cleverly used the blockchain or bitcoin buzzword in their press releases, despite lacking a strong business case, recorded significant rallies as well. The fact that BTCS completely missed out on the bitcoin rally underlines the fact that its value in the stock market will only be unlocked when a substantive deal with Blockchain Global is announced. Realistically speaking, how important is this deal for BTCS? The candid answer is that the deal is critically important. From a financial and operational perspective, there is little that can unlock sustainable value for BTCS’s shareholders at the moment. 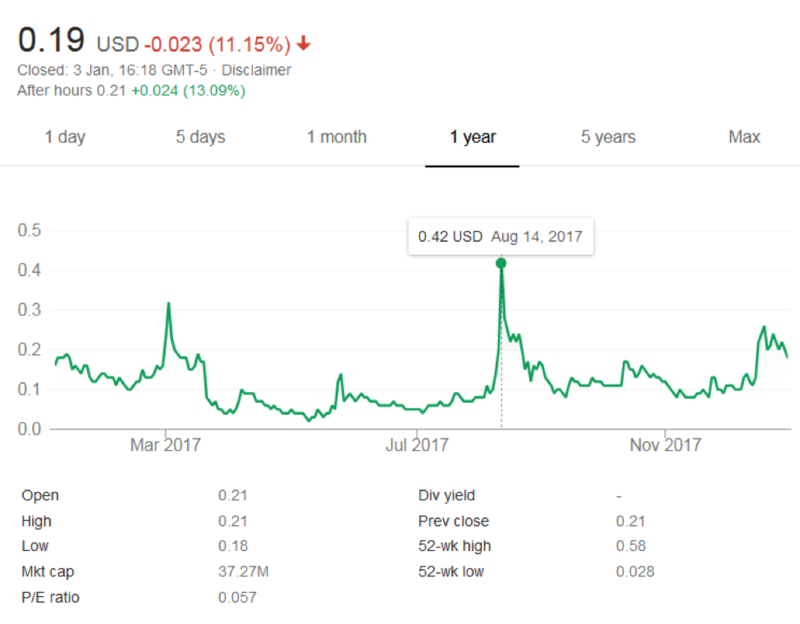 A quick glance at the company’s most recent SEC filings indicates that it has no assets or revenues to speak of and is deep in the red, with a net loss of $10.9 million as at September 30th 2017. Though the situation is relatively the same across much of the sector due to its nascent stage of development, BTCS is in an especially precarious position in view of its unfavorable financial track record. In recent years it has not only been compelled to restructure liabilities, but has also pumped in $2.25 million into a merger that has neither paid off nor exhibited any prospects of doing so. To give more background on this last point, back in 2016, BTCS’s note holders had to convert a convertible bridge loan into common stock, leading to a sharp decline in share price and a consequent 1 for 60 reverse share split. In the same year, the company also sank $2.25 million in Israeli digital currency server manufacturer Spoondoolies-Tech. Official communication as to how this panned out is limited, suggesting that this investment didn’t produce the expected fruits. Operationally, the company’s initial focus on a Bitcoin e-commerce platform failed, hence its name change from “Bitcoin shop” to “BTCS” in 2015. Bitcoin’s store of value characteristics are more appealing than its medium of exchange characteristics. An e-commerce platform where bitcoin is the sole medium of exchange will inevitably suffer low sales volumes, which is unsustainable for any retail business. Similarly, BTCS’s foray into bitcoin mining did not work out. Bitcoin mining involves the use of computer processors to approve and validate bitcoin transactions in exchange for a reward of a select number of bitcoins for each successful validation. Mining is expensive due to the immense computing power needed. It requires data centers, high quality cooling equipment and affordable electricity. BTCS invested in a North Carolina mining facility and a 200 ton cooling system. However, BTCS CEO, Charles Allen, admits in company reports that the cooling system refused to cooperate in 2016. Moreover, there was a burglary at the North Carolina facility. The company has since discontinued mining. In view of this analysis, it is clear that a merger with a larger, better capitalized and operationally sound player such as Blockchain Global is the only way for BTCS to stay in meaningful business. However, the million dollar question is: what makes BTCS an ideal acquisition target given its woes? The answer can be summed up in one statement—products and people. BTCS has made an important transition in its corporate strategy and will now focus on Blockchain as an complete product offering, relegating bitcoin to a secondary interest. 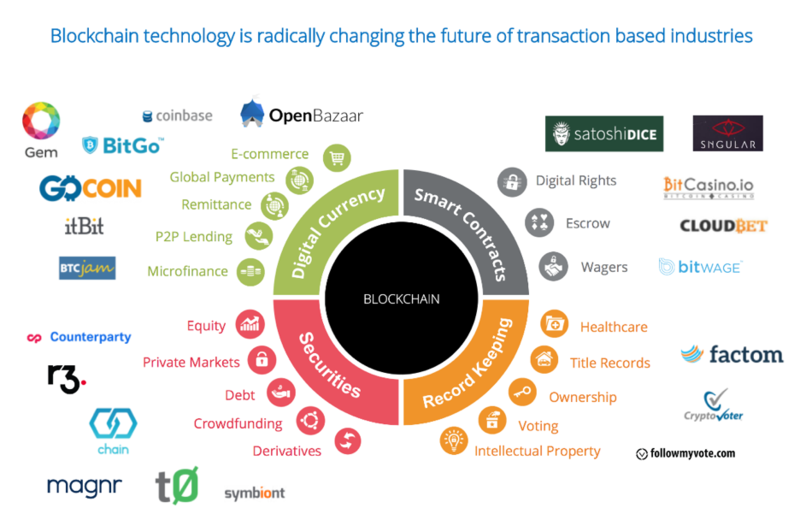 Blockchain is the underlying technology that supports bitcoin and has a host of disruptive applications in other areas besides cryptocurrencies, such as in banking and law. Blockchain allows anyone to enter into a business transaction with someone else without needing to go through a trusted intermediary. Its market potential has seen commentators, including the Harvard Business Review, draw comparisons between it and the Internet during the dot com era in the late 90s and early 2000s. According to a prescient research from Goldman Sachs back in 2015, the real opportunity lies in the underlying technology of bitcoin, the blockchain. Referred to as the golden egg, the blockchain can not only exist outside of bitcoin, but has the potential to streamline a multitude of businesses. In fact, some banks like JPMorgan Chase (NYSE: JPM), are betting big on blockchain, despite its CEO Jamie Dimon referring to bitcoin as a “fraud” and calling people who invest in it “stupid”. Grayscale’s Bitcoin Investment Trust (OTC: GBTC), the foremost ETF for Bitcoin, is currently trading at $2,255. This underscores the potential for Bitcoin. Even more importantly, it underscores the potential for blockchain, the underlying technology. The focus on blockchain makes BTCS an ideal acquisition target for Blockchain Global, which is keen on being an authoritative player in the blockchain ecosystem, particularly through its incubation hub. But why BTCS and not, for example, Vemanti Group (OTC PINK: VMNT), which also announced a renewed corporate focus on Blockchain in December 2017? BTCS has the right talent—the people factor alluded to earlier. BTCS’s CEO, Charles Allen, an engineer whose expertise in the sector is incontestable due to his early mover advantage, has the requisite level of expertise that Blockchain Global is looking for. It is important to note that any development-stage company, especially in a dynamic field like emerging technologies, highly prioritizes people/talent when making investment decisions. Having the right team is naturally a priority for Blockchain Global and Allen, despite his missteps in financial management of BTCS, understands the technical aspect of the business better than most players in the industry due to his early mover advantage. As at October 2017, Blockchain Global had already put in $1 million in BTCS in a deal that included $250,000 paid in bitcoin. This is a clear indication that it will follow through with the merger as planned. When this happens, BTCS will undoubtedly record massive gains. At current prices, a good entry point would be the low teens, preferably $0.13 a share. Once a substantive deal is announced, a price target of $0.40 is plausible, as is this is a high it attained in August 2017 when the prospect of a deal was first announced.